Hospital Lane The lane ran alongside the Royal Naval Hospital which was built in 1813 on the site of Constantia, one of the first dwellings in Simon's Town. 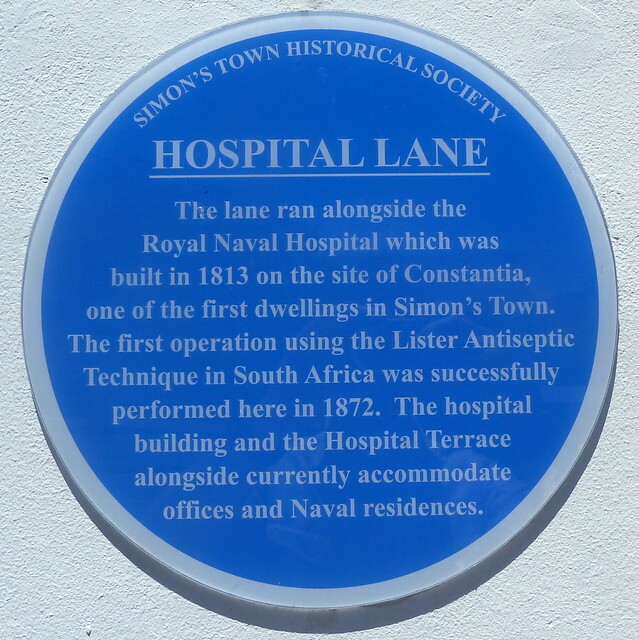 The first operation using the Lister Antiseptic Technique in South Africa was successfully performed here in 1872. The hospital building and the Hospital Terrace alongside currently accommodate offices and Naval residences.